So the wicked awesome people over at the Cybils were kind enough to give me a slot on the judging panel for the Graphic Novels category! I'm just a tad bit excited. Okay, I walked around with a dumb grin on my face all day. The coolest thing (apart from the free books and extreme blogability) is the illustrious company I'm in. Just look at their blogs. My kind of people. 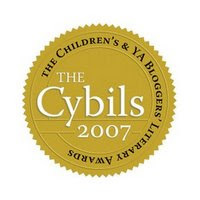 In case you're wondering, the Cybils are the Children's and YA Bloggers' Literary Awards. A first on the internet, they reside somewhere between the Newbery and the Quills. 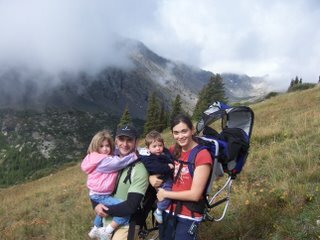 More about them here. The nominations begin October 1st so make sure to head on over and nominate your favorite books of 2007 in the following categories: Young Adult Fiction; Fantasy/Science Fiction; Graphic Novels; Middle Grade Fiction; Poetry; Picture Books; Non-fiction Picture Books; and Non-fiction (YA/MG). Anyone with an email address can nominate one book in each category, so don't miss out. More to come as the nominations pour in. Hey, I'm happy that you're happy. Or something like that. Welcome to the Cybils! I can't wait to get started. Very happy indeed. Thanks, Anne! So famous. I shall be signing autographs shortly. sign one for me and I'll put it with my Levell Edwards! Congrats...I've always been excited to see what amazing things you'll do. You are so talented.